People might be disinterested in midsize sedans nowadays, but that doesn't mean that the complete redesign undertaken for the 2018 Toyota Camry isn't a momentous occasion. Indeed, this car is Toyota's most important sedan, and getting it right is critical to the nameplate's continued success. Toyota wanted to make the latest Camry more engaging to drive, and less boring to behold. At the same time, though, the company needed to preserve what people liked about the previous Camry, while improving in those areas where owners were dissatisfied. To determine how successful the redesign is, we evaluated a Camry SE Hybrid equipped with an infotainment system upgrade, a blind spot monitoring system with rear cross-traffic alert, a power sunroof, an auto-dimming rearview mirror with a compass, a universal garage door opener, floor mats, a trunk mat, and a protective rear bumper strip. The price came to $33,989, including the $895 destination charge. Before we discuss the results of our evaluation of the redesigned Toyota Camry, it is helpful to understand who bought the previous version of this Midsize Car, and what they liked most and least about their Camrys. Compared to all Midsize Car buyers, Camry owners are more often women (43% vs. 39%) and are slightly less affluent in terms of median annual household income ($86,833 vs. $88,919). The median age of a Camry owner is the same as a Midsize Car owner, at 56 years. Ownership sentiments of Camry buyers largely align with those of Midsize Car buyers. However, despite the fact that Toyota has built the Camry in Georgetown, Kentucky for nearly 20 years, buyers of this model are less likely to agree that they prefer to buy a vehicle from a domestic company (42% vs. 48%). Additionally, Camry owners are less likely to agree that their friends and family think of them as someone who knows a great deal about autos (54% vs. 59%), that they like a vehicle that offers responsive handling and powerful acceleration (83% vs. 87%), and that they like a vehicle that stands out from the crowd (62% vs. 68%). Owners report that their favorite things about the previous Camry were (in descending order) the engine/transmission, interior design, driving dynamics, exterior styling, and seats. Owners indicate that their least favorite things about the previous Camry were (in descending order) the storage and space, visibility and safety, climate control system, infotainment system, and fuel economy. In the sections that follow, our expert provides his own perceptions about how the Toyota Camry measures up in each of the 10 categories that comprise the 2017 APEAL Study. Two versions of the 2018 Camry are for sale: mild, and wild. For a more conservative appearance, choose the L, LE, or XLE trim levels. For a more expressive appearance, the SE and XSE await. Personally, my favorite of Toyota's 2018 Camry lineup is the XLE. It has the more conservative styling combined with a handsome set of aluminum wheels. The test car, however, came with SE trim. To make sure everyone knows it is the sporty Camry, it has a gaping black maw of a mesh grille, oversized simulated air intakes up front and slivers of fake air vents on the rear fascia, bloated rocker panel extensions, a rear spoiler, a rear diffuser panel, and fake dual exhaust tips. Will this succeed in drawing more people to the Camry, or will it repel buyers seeking a quieter approach? We will have the data by the end of the summer of 2018. Owners loved the previous Camry's interior, which makes Toyota's dramatic departure away from the roomy and airy environment in the old car somewhat questionable. In terms of materials, the new Camry breaks no new ground. Nicer upper surfaces are offset by cheaper lower surfaces. In terms of design, the new Camry is dramatically different. The dashboard is shaped to focus on the driver, and Toyota employs more modern trim and detailing as well as a flush infotainment surface in many models. In terms of layout, the new Camry's instrumentation is easy to reference and the controls are intuitive to use. You're going to find what you're looking for, where you expect to, and it will work the way you want it to. In terms of space, the new Camry feels smaller inside, but in reality is just slightly larger than the car it replaces. I can't really account for the difference in perception, except to say that for me it existed. Overall, people will likely find the new Camry's interior more pleasing than before, which means Toyota improved on an already good thing. According to Camry owners, seating could stand from some improvement. I'm unconvinced that any headway was made on this front. The front seats are comfortable, and each includes a height adjuster as standard equipment. However, you cannot get ventilated front seats or heated rear seats in any version of the Camry. A heated steering wheel is also unavailable. The rear seats lack support, and legroom feels tighter than in the previous Camry, even if official measurements do not bear this out. The backrest is angled to promote slouching, too. Entry and exit prove difficult. First, the Camry sits lower to the ground than it used to, which means that the seats do, too. The reduction in seating hip point means you are more likely to plop into the car and to grunt when getting out of it. Furthermore, the SE and XSE include flared rocker panel trim. It is easy to drag your leg across this trim when getting into and out of the car. If the trim is dirty (which it is, most of the time), your clothes will also get dirty. Clearly, there is room for improvement on the comfort front. Given the clarity and simplicity of the old Camry's climate control layout, complaints must have related to its effectiveness. Unfortunately, during the week of testing, temperatures ranged from the low 60s to the mid-70s, so neither the heating nor the air conditioning systems needed to work overtime. Nevertheless, Toyota has not leveraged opportunities to improve climate comfort in the form of ventilated front seats, heated rear seats, or a heated steering wheel. Also, more precision is necessary to operate the new Camry's climate controls. Additionally, a lack of rear air vents in my almost $34,000 test car produced complaints from my children about being too hot. Given these oversights, I do not anticipate any improvements in satisfaction on this front. Several different infotainment systems are offered in the new Camry, either as standard or optional equipment depending on trim level, engine selection, and other pre-requisites. Most versions of the car in dealership stock are likely to be equipped with the system in my test car, an Entune 3.0 setup with a flush-mounted screen and dual-zone automatic climate control. The system is relatively simple to understand and use, though I had trouble figuring out how to pair my phone to the Bluetooth connection, which is rarely an issue for me (hint: you don't choose "Phone"). It took a few days to acclimate to the volume and tuning knobs for the radio, too, which are stacked and located to the upper left of the display screen. At first, I kept using the climate system's temperature adjustments. If you want Apple CarPlay and Android Auto in your next new car, you can cross the new Camry off of your list. It is not available. Instead, you get Entune App Suite, which provides access to selected popular smartphone apps right from the display screen. Give it a try and see if you like it before you buy it. A connected navigation app is also included with most versions of Entune. Just connect your smartphone via the USB port, and the navigation app runs off your data plan to help you get to where you need to be. Upgrades include a JBL premium sound system, Qi-compatible wireless device charging, and an embedded navigation system, the latter available free of charge for three years and only offered in cars with a V6 engine. Ultimately, the Camry's infotainment system is decent if not class leading. It is faster to load and respond than it used to be, and it looks more modern and sophisticated than before. But at the same time, it's not as comprehensively featured as what many competitors offer. Owners of the previous Camry were somewhat indifferent to the amount of storage and space the car offered. In the new Camry, the center console storage bin is huge, and that's where the praise ends. If you're looking for places to stash your things, remaining spots fail to impress. The door panel bins are not very big, and while there is a coin box on the lower left side of the dashboard and a tray beneath the wireless charger, neither is large or lined to quell vibration and noise. The glove box isn't very big, either. Around back, the new Camry's trunk is smaller than before, too. In fact, at 15.1 cubic feet, it's smaller than most midsize sedans. The exception is the Camry Hybrid. 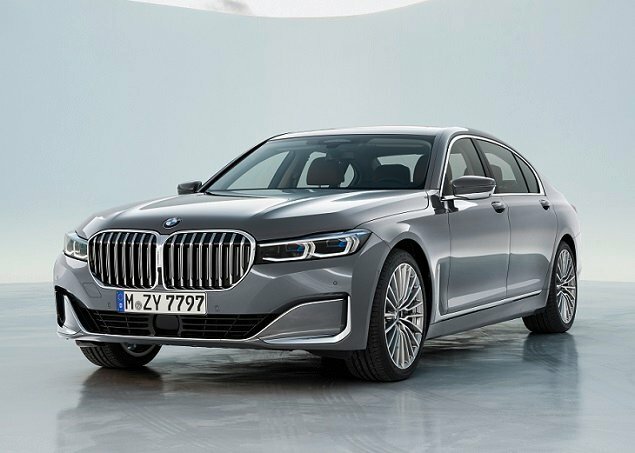 Revised battery packaging means that the hybrid drivetrain's components no longer intrude upon trunk space, so this version of the car sees improvement on this front. Another missed opportunity is that Toyota does not provide a handle or a slot that allows an owner to swing the trunk closed without putting his or her hands on the outside of the lid. Trunk lids are usually dirty. People don't want to touch them. The Camry needs a handle or slot to facilitate this. Thick rear roof pillars create visibility problems when reversing from slanted parking spaces. Otherwise, outward visibility from the Camry's driver's seat is fine, aided by large door-mounted mirrors and a standard reversing camera. Toyota includes numerous driver assistance and collision avoidance systems as standard equipment, too. 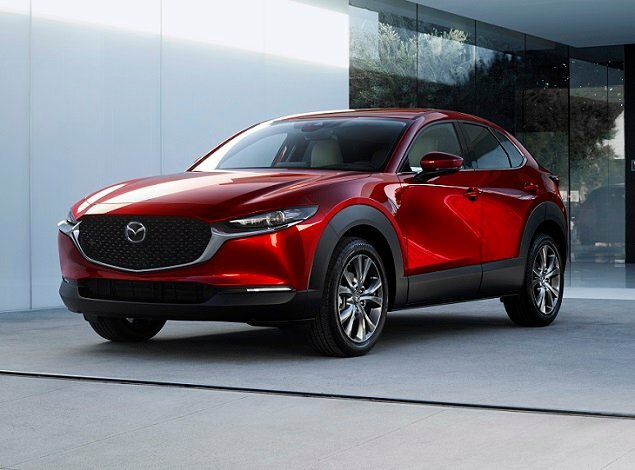 They include adaptive cruise control, forward collision warning with pedestrian detection, automatic emergency braking, lane departure warning with lane keeping assist, and automatic high-beam headlights. A blind-spot monitoring system with rear cross-traffic alert is offered for selected versions of the car, as well as Safety Connect services including automatic collision notification and emergency assistance. A 360-degree perimeter scanning system is also an option. In crash-test assessments, the new Camry receives the highest possible ratings in all collision tests, as well as in other evaluations related to rollover resistance, headlight performance, and ease of using the LATCH anchors. Clearly, the 2018 Camry is one of the safest midsize family sedans you can buy. Three different engines are available in the 2018 Camry. A 2.5-liter 4-cylinder engine is standard, a new design for 2018 paired with a new 8-speed automatic transmission. It offers an excellent blend of power, performance, and efficiency, and is a big improvement over the previous Camry's 2.5-liter 4-cylinder. I highly recommend this engine and transmission. A 3.5-liter V6 engine making more than 300 horsepower is an option in the Camry XSE and XLE. So equipped, a 2018 Camry is mighty quick. This engine option also makes the Camry one of the few cars in its class to still offer a V6 engine. Like the standard 4-cylinder, the V6 employs an 8-speed automatic transmission. My test car had the gas-electric hybrid drivetrain. Installed in a Camry LE, it includes a more sophisticated lithium-ion battery. In the SE and XLE, it uses a proven nickel metal hydride battery. Packaging improvements mean that Camry Hybrid buyers no longer must settle for utility compromises in exchange for better fuel economy. I found the hybrid drivetrain's combined 208 horsepower satisfactory, and the extra oomph from the torque-rich electric assist motor made the car lively when accelerating away from a stop and when passing slower vehicles. In the Sport driving mode, the Camry Hybrid felt downright responsive. A continuously variable transmission is included for Camry Hybrid models. It is reasonably refined, droning only on occasion, such as when accelerating to join fast-flowing traffic on a freeway. The SE trim's paddle shifters are ineffective. Owners can also choose Normal, Eco, and EV driving modes. The majority of my testing was conducted in Normal mode, which might explain why my fuel economy result was a disappointment. According to the EPA, a 2018 Toyota Camry SE Hybrid should get 46 mpg in combined driving. My test car returned 38.3 mpg on my testing loop, and after a week and more than 600 miles of driving, I'd gotten no better than 39.9 mpg as an average. On the one hand, effortlessly achieving 40 mpg from a family car is impressive. On the other hand, Toyota asks a $4,300 premium for the hybrid powertrain in a Camry SE. At 46 mpg, that starts to make sense, even in a market where gas is as cheap as it is today. At 40 mpg, that's a much tougher sell. While engineering the new Camry, driving dynamics was one area where the company wanted to see a big improvement. According to J.D. Power data, owners already liked the way the Camry drove. Changing this could have negative consequences. The good news is that the Camry's dynamic tuning improvements are a success. From the steering and the hybrid model's regenerative braking system to the car's ride and handling traits, the 2018 model is the best Camry to drive in history. My SE Hybrid test car wasn't too stiff, and it definitely wasn't sloppy. 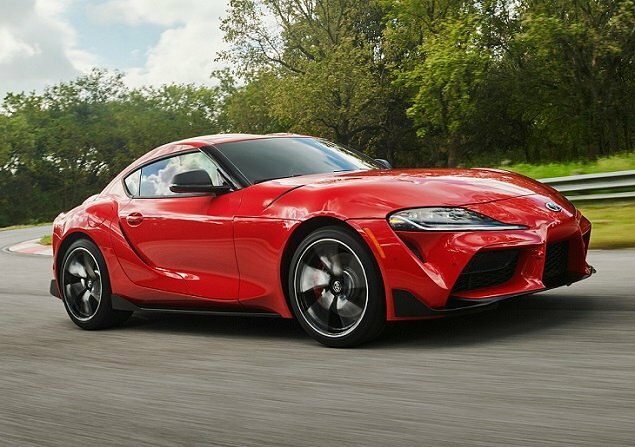 Toyota has dialed in just the right amount of ride compliance to keep people comfortable, and just the right amount of motion control to engage driving enthusiasts. The result is a car that glides down the road, grips well in corners, and is a pleasure to steer. You're unlikely to enter a Camry in a weekend track event, but you're also unlikely to fall asleep behind the wheel. From its dramatic new styling to its all-new platform, the new 2018 Camry is a potential people pleaser. Yet, as significant as redesign as this is, Toyota may not have gone far enough. Missed opportunities to get a leg up on the competition could hamper the car's appeal, and some packaging compromises could make the new Camry a tough sell as competitors are also redesigned. In short, Toyota should have strived even harder to create a segment-busting product. Instead, aside from its safety ratings and the promise of legendary Toyota reliability, the new Camry's competitiveness can too easily be called into question. Toyota Motor Sales, U.S.A. supplied the vehicle used for this 2018 Toyota Camry review.